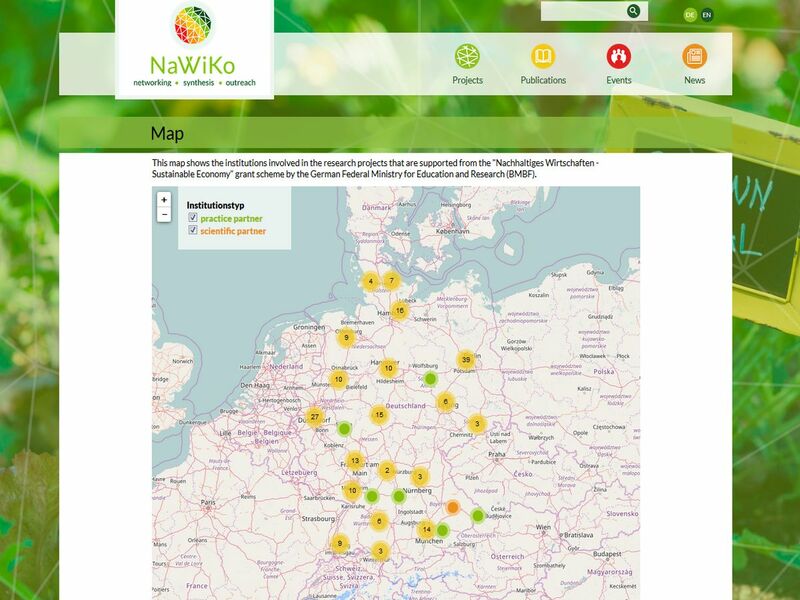 In the project "Scientific coordination of research projects on a sustainable economy" (Wissenschaftliche Koordination der Fördermaßnahme Nachhaltiges Wirtschaften, NaWiKo) Ecologic Institute and its partners coordinate 30 research projects, which deal with a more sustainable economy and are supported by the Federal Ministry for Education and Research. The funded projects investigate a variety of topics, such as mobility and sustainable diets and clothes. The Ecologic Institute designed and developed the project's website. It contains an interactive map, which gives an overview of all funded projects. Furthermore the webpage provides detailed information on the projects and related events as well as publications for download. User can also directly subscribe for the newsletter.